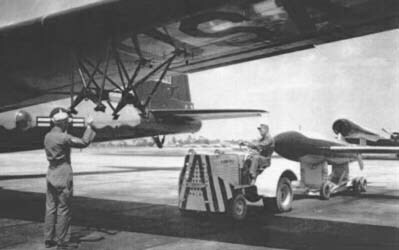 Tests: Fieseler Fi 103 V-1 / Republic JB-2 "Loon" / McDonnell XF-85 "Goblin"
The Boeing B-29 has a small and some what unexpected place in the history of the first jets, it was used both by the USA and the USSR to test the Fieseler Fi 103 V-1 by "air launch". The Americans used the Boeing B-29 to test the Republic JB-2 "Loon" (a copy of the Fi 103 V-1), also a B-29 (44-84111) was modified for use as a mothership for the then XP-85 program. 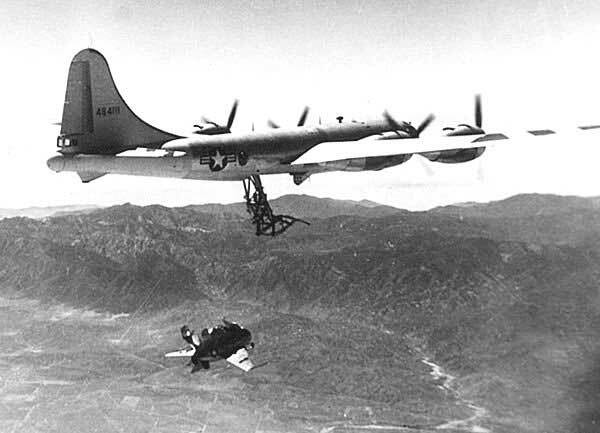 The Soviets also used the B-29, three B-29 fell into Soviet hand when they were force-landed in the Far East of the USSR in 1944, they were instantly appropriated and put to good use for the testing of the German Fi 103 V-1 and the German Rocket powered Supersonic reconnaissance aircraft the DFS 346. The Soviets when on to copy the the B-29 as the Tupolev Tu-4.